The Kings (and their friend, the Stanley Cup) went out to Dodger Stadium tonight to throw out the ceremonial first pitches and meet the Dodgers and Angels. Photos come from Michael Altieri, Jim Fox, Patrick O’Neal, Jonathan Quick and Kevin Westgarth. Make sure you’re giving them all a follow on Twitter. 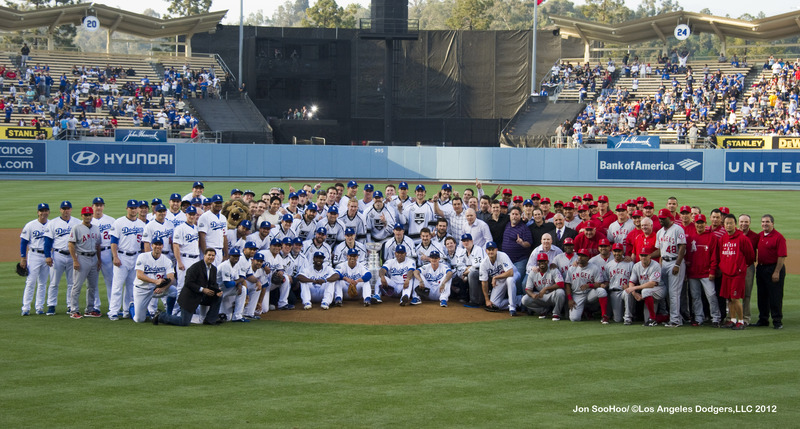 Also, definitely click here to see an awesome group photo with all the Kings, Dodgers and Angels, taken by the Dodgers’ legendary staff photographer, Jon SooHoo.